Women for many years admired the creations of Karl Lagerfeld for French house Chanel. We decided to "collect" 10 muses of Karl Lagerfeld! They met when Kruger was only 16 years old, and since then, their friendship turned into a relationship, which are similar to the relationship of father and daughter. But, despite this, the actress has not long been a fashion muse and face of Chanel, but she is a constant guest at fashion shows, and rarely "cheating on" French house with other brands. In the 1990s, the fragile Frenchwoman won the heart of Lagerfeld, and he made her the face of Coco Chanel fragrance. Lagerfeld's passion passed as suddenly as it appeared. However, many years later, he again made her face, or rather the "lips" of the brand: Paradis represented lipstick Coco Rouge Chanel. Another actress who won Lagerfeld's heart was the "main gossiper of Manhattan." Blakely Lively not only became the face of the accessories line Chanel Mademoiselle - Lagerfeld has dedicated one of the bags to her, wrote her letters by hand and called the "American dream." This relationship was passionate but short-lived. It was the tandem of the artist and the muse that has started the blonde model trend in the modeling business. Their collaboration began in the end of the 1990s, when nobody knew Schiffer. they worked together for seven years. Passion took place, the campaign ended, but friendship is still ongoing. Absolutely fresh blood in the Lagerfeld's collection, but has managed to outshine Kendall Jenner and Hadid sisters who also claimed the role of the Muses. Let's see if she would be able to stay on. Its elegant and meticulous world of Karl Lagerfeld decided to dilute the rebellious temper Cara Delevingne. With designer model uses the method of "carrot and stick": she complains about her tattoos and blamed for endless selfie to Instagram, but does not release the number of mistresses. The actress became muse for the designer. He calls her to participate in almost all the projects of the fashion house, she not once publicly admired her talent and said that she is the perfect embodiment of the modern image of Chanel. 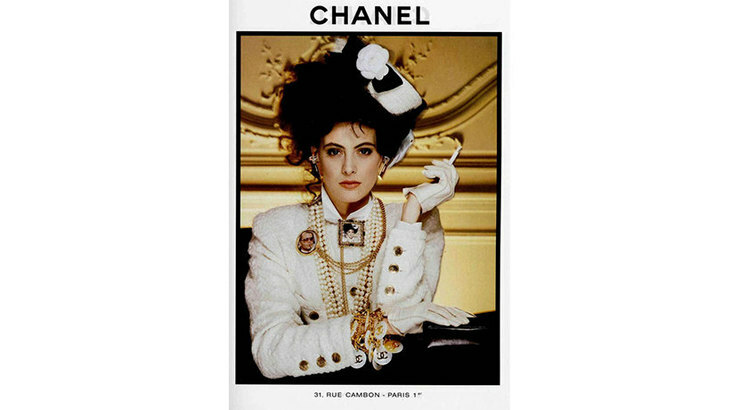 The greatest love of Lagerfeld was Inès de La Fressange, while in 1989 they got a huge fight that lasted for 20 years. Briefly, it was like this: de la Fressange agreed to pose for a bust of Marianne (symbol of France), and Lagerfeld was against it, since it is "boring and pathetic personification of the bourgeoisie" and does not fit with his views. The couple broke up, until the heart of the German melted, and they began to talk again. Friendship continued, but Lagerfeld is in no hurry to invite her to participate in his projects. The actress starred in the mini-film about Gabrielle Chanel and designer. Lagerfeld invited her to become the new face of the fragrance Coco Mademoiselle. He says that he does not see the candidates better than her. Another love of Karl Lagerfeld since the nineties. Only she has achieved more than any other: the muse of Chanel grew into a global Chanel Ambassador.